Adopt-a-Beach volunteers (or Great Lakes superheroes, as we like to call them) clean beaches on all 5 Great Lakes and in all 8 Great Lakes states. And across that huge geography, there is one commonality: plastic. In 2017, 89% of all the litter picked up from Great Lakes beaches was plastic. Unfortunately, this figure is not surprising. Plastic has consistently been the most common type of litter found on Great Lakes beaches for years. But, fear not! Adopt-a-Beach volunteers are on the case. Why is it important to keep plastic pollution out of the Great Lakes? Good question. Once it’s in the water or on the beach, plastic never really goes away — it just breaks down into smaller and smaller pieces. Once in the water, microplastics can absorb toxic chemicals commonly found in the water. And, they can be mistaken for food by small fish and wildlife. Studies have shown that fish and wildlife of all sizes consume plastic. Those tiny pieces of plastic have a negative effect on the environment, wildlife, and even human health. Adopt-a-Beach volunteers know firsthand how pervasive plastic pollution is on Great Lakes beaches. And with that in mind, they put in some serious work during the 2017 Adopt-a-Beach season. 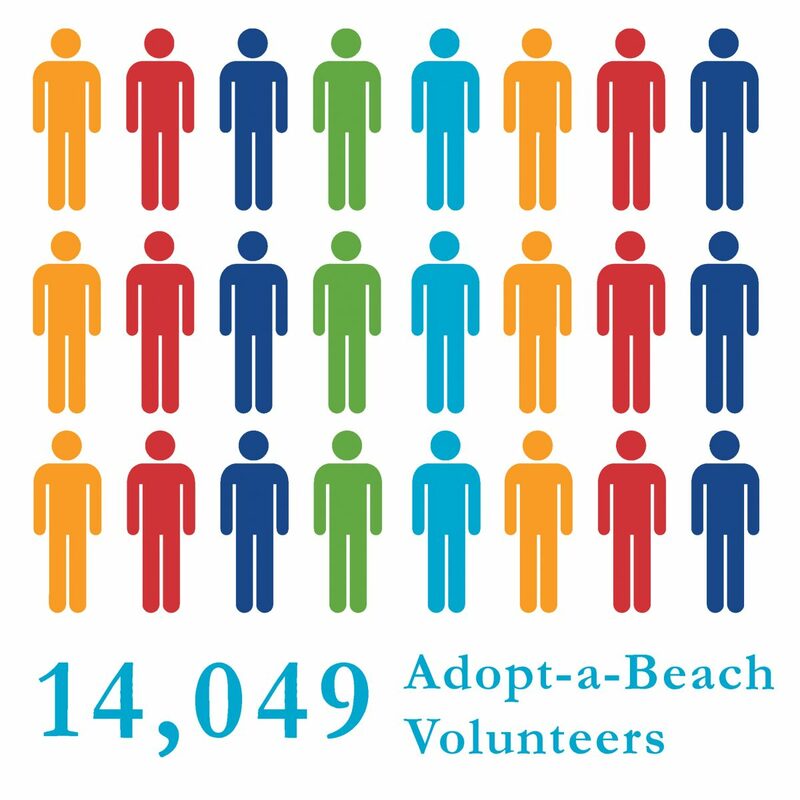 14,049 volunteers worked to keep their local beaches beautiful in 2017! Those volunteers participated in 544 cleanups across 8 states and 5 lakes. 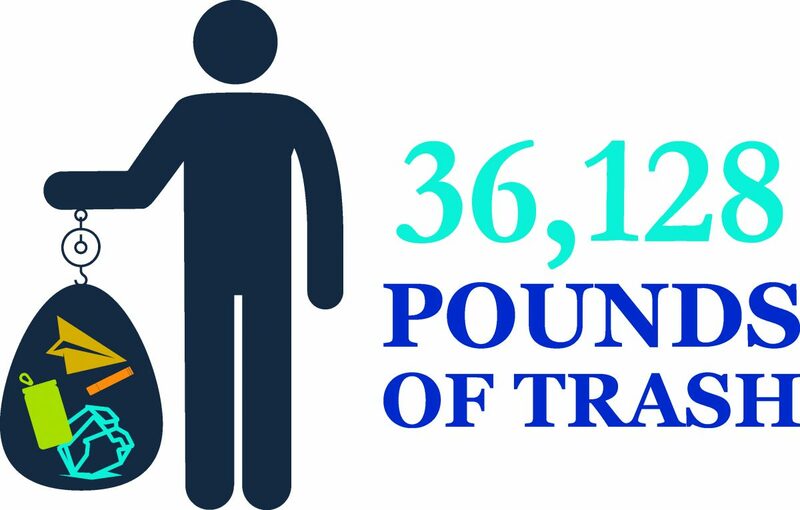 Volunteers picked up a whopping 36,128 pounds of litter. That’s a lot of trash! Of those 36,128 lbs. 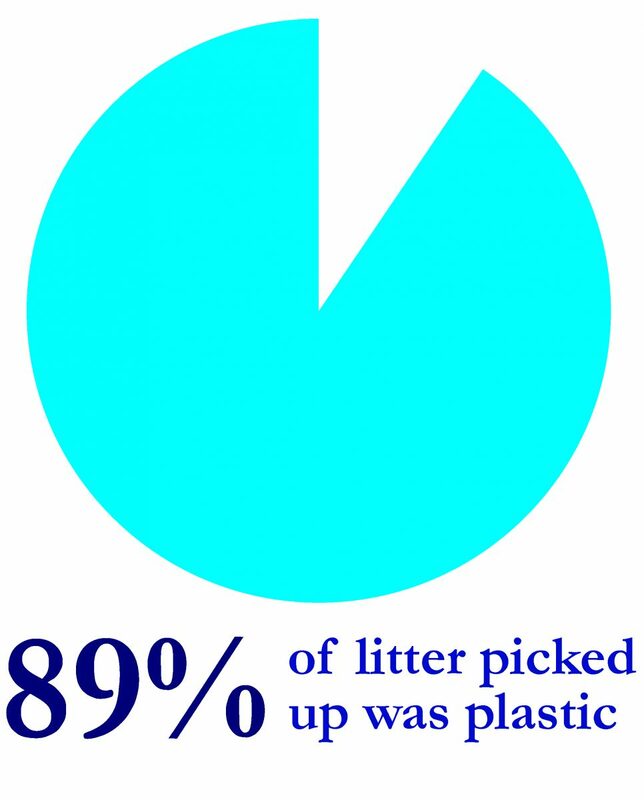 of litter, 89% was plastic. That’s nearly 32154 lbs. of plastic removed from Great Lakes beaches and water. Yuck! All of that work in just one year! Adopt-a-Beach volunteers are on the front lines of Great Lakes protection — keeping beaches and shorelines beautiful for all to enjoy. We are so grateful for their hard work! An Adopt-a-Beach volunteer’s work is never done — they’ve been protecting Great Lakes beaches for more than 25 years now, and they can use your help! Adopt-a-Beach cleanups are fun, easy, and rewarding. Find out how you can get involved next spring! 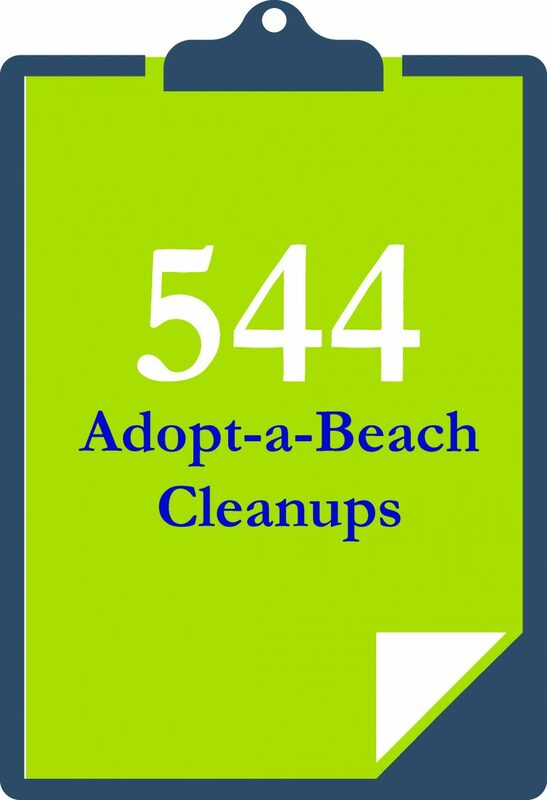 Let's make the Adopt-a-Beach program the best it's ever been in 2018! 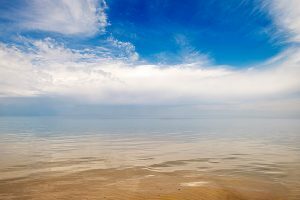 Make a gift to help keep beaches beautiful and healthy today.